New Year is just few days away and I have already started preparing things to party hard. 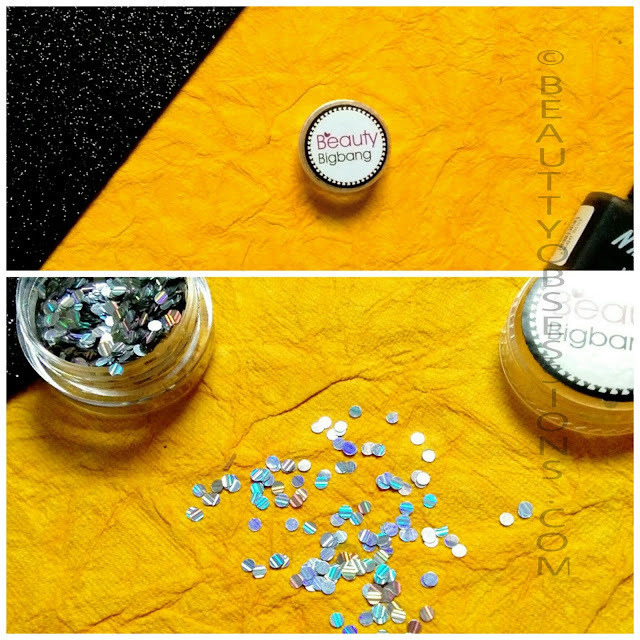 Recently I have received few nail stuffs from Beautybigbang and here I have tried to create two NailArt designs using the holograpghic laser stripes nailart glitter sequin. 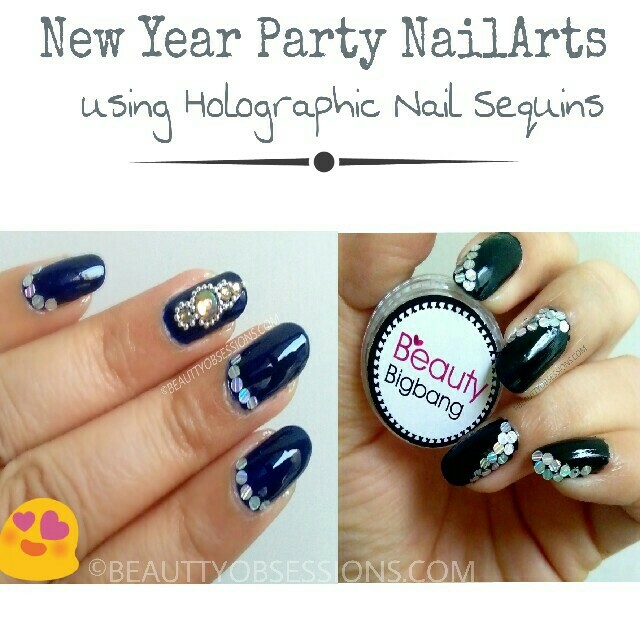 These nailarts are so appropriate for New Year or any kind of party , wedding, etc.. 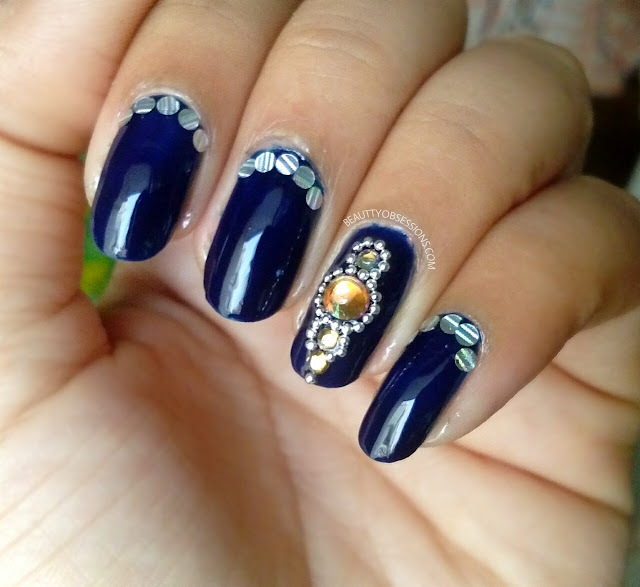 So no further talk, let's jump into the nailarts first.. 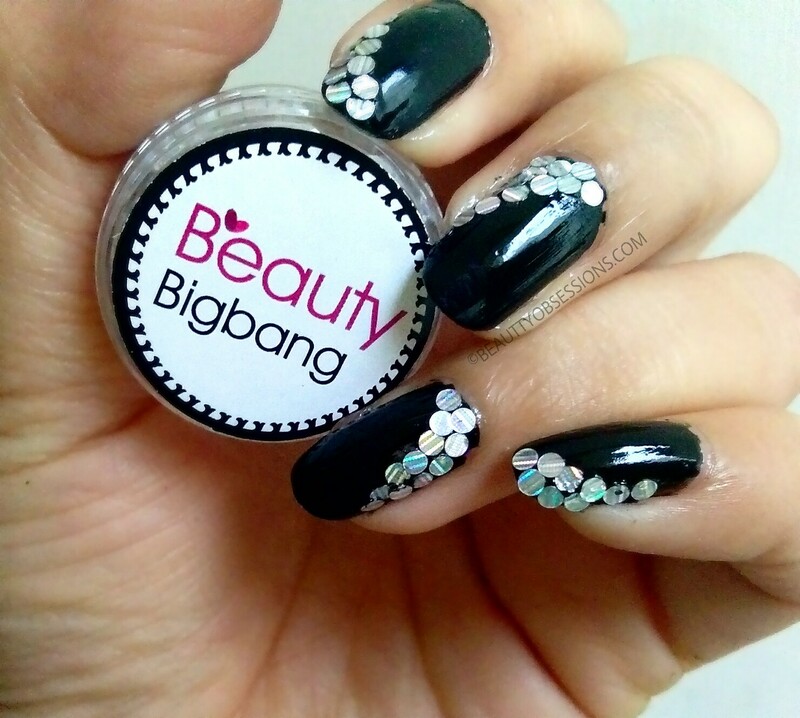 There are three sizes of these holographic sequins available on beautybigbang and I have got the 2mm. size sequins box. First look at the tiny box filled with shining sequins . This is so handy to use and store.. 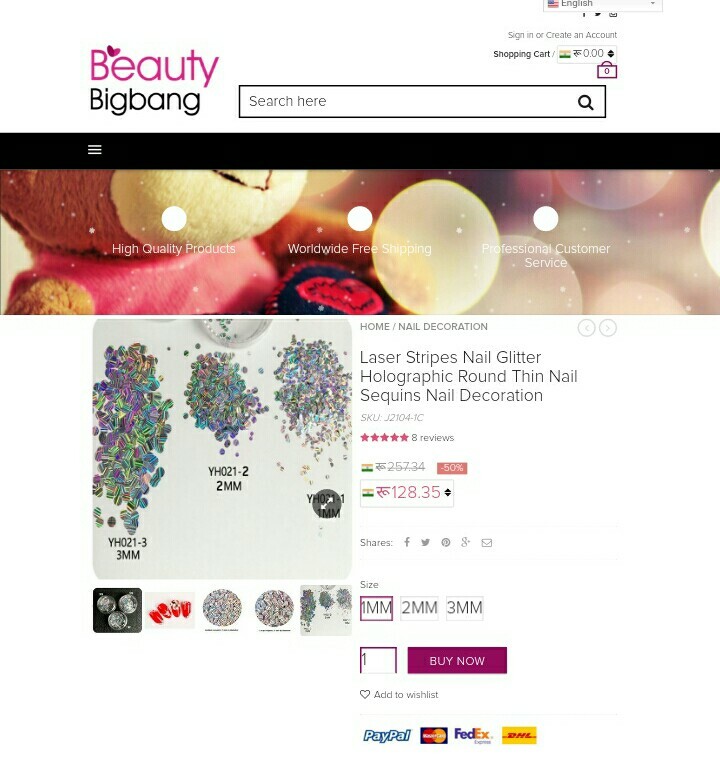 So the see the first nailart .. 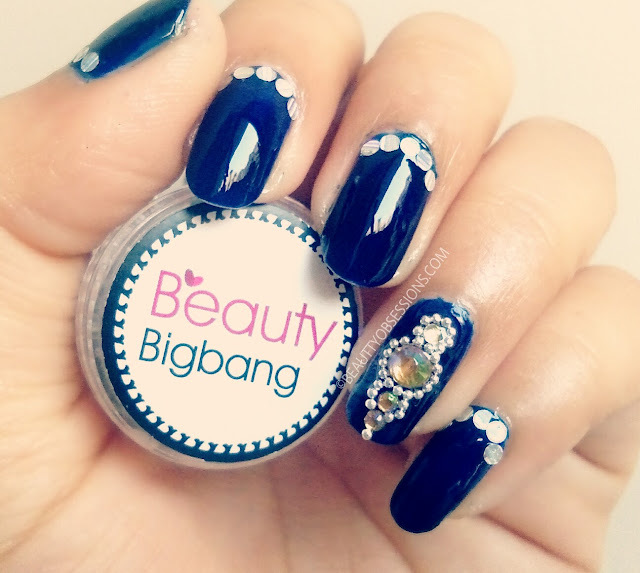 In this first party nailart I have also used transparent golden nail stones which are again bought from beautybigbang. So refer the below picture for steps and procedure. Here I have chosen dark blue shade as base because the sequins will visible and look more vibrant on dark base.. 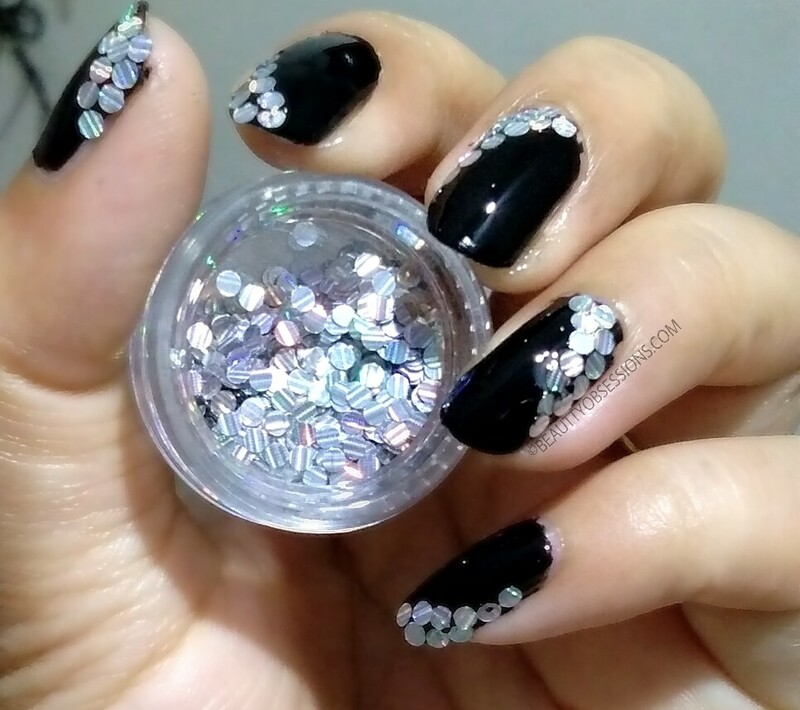 Here on the second nailart, I have taken black polish as base and put sequins over it in half -half manner.. At last apply a good layer of top coat to seal the sequins on nails properly. ** Please tolerate these not so good clicks and all credits goes to the cloudy, rainy and bad weather outside. 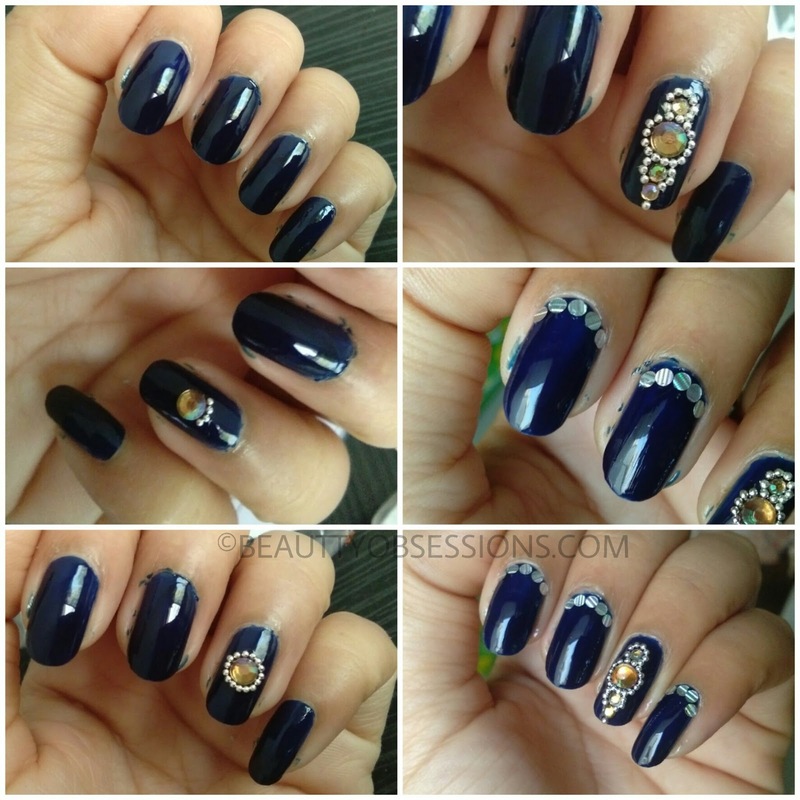 All the nail art designs are lovely and have a great finish. Wish I could do it just as well. 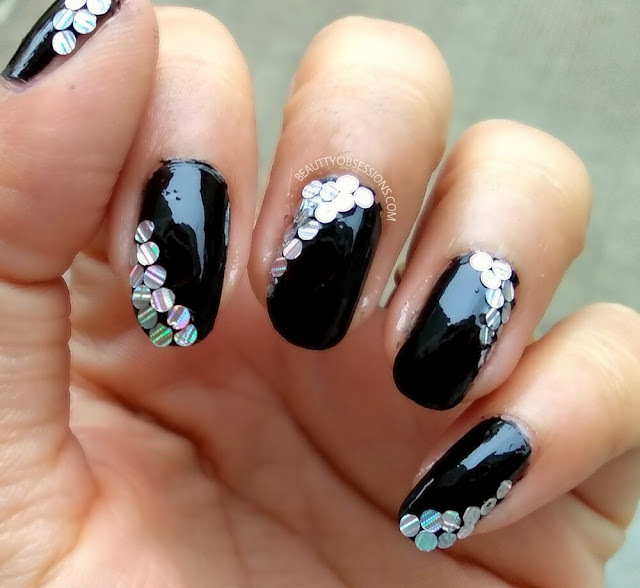 i totally love the black nail art ... looks gorgeous and absolutely party ready!! Oh this nail art looks awesome. Will try these for sure. I'm bad at nail art Infact my nail art looks funny hehe.. 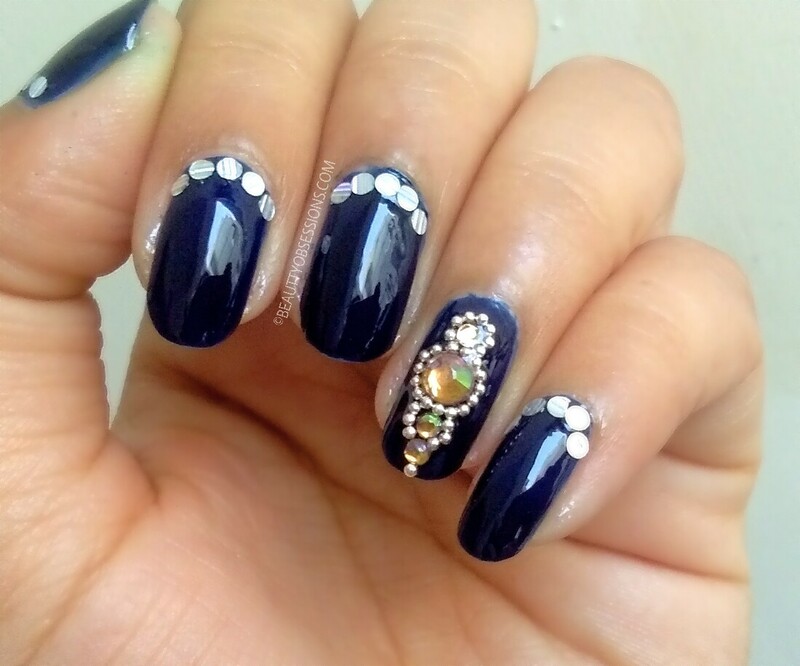 I love all your nail arts you do a great job. This looks so pretty! 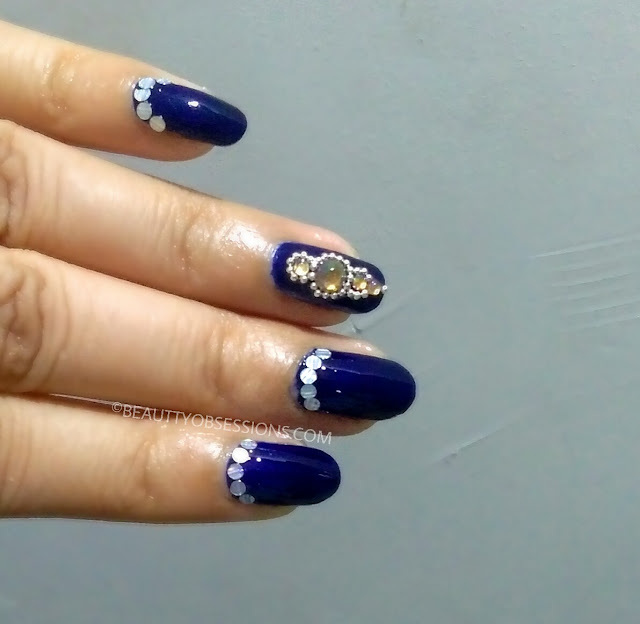 I wish I were half as good as you are with nail arts! Very interesting post. Amazing and superb pics of pretty nail art. Great review.